Prodigy Learning Center presents a unique early learning environment designed to educate and care for young children, and also reduce the stress of their parents’ hectic lives. Provide a secure, state-of-the-art, education and childcare facility in urban Philadelphia, with flexible hours to accommodate parents’ unpredictable work schedules. A graduate of Drexel University, Ms. Viteo brings a background in the fields of Emergency Medicine, Medical-Surgery and Pediatrics to her chosen career path working with children. Christine was Director of Risk Management at a major Philadelphia hospital and medical school just prior to becoming Prodigy’s Founding Director in 1989. And from the very beginning, Christine’s innovative vision and nurturing principles for early childhood education and development are the foundation on which Prodigy Learning Center’s success has been built. For information about enrolling your child at Prodigy Learning Center click on the button below or email us at ProdigyLearning@aol.com. 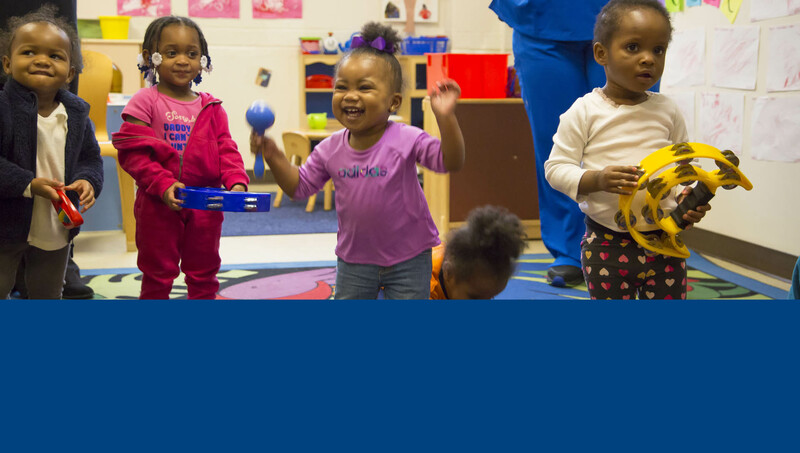 Our professionally-trained and licensed staff conducts Early Education programs, from age 6 weeks to Pre-K, and a private, certified Elementary school from Kindergarten to 5th grade. Before and After school programs provide transportation to and from other schools in our fleet of school buses equipped with child safety seats and seat belts. Staff provides a nutritious breakfast prior to transporting our morning students to their school. Our after-school program conducts fun activities and provides supervision of homework and a nutritious snack.